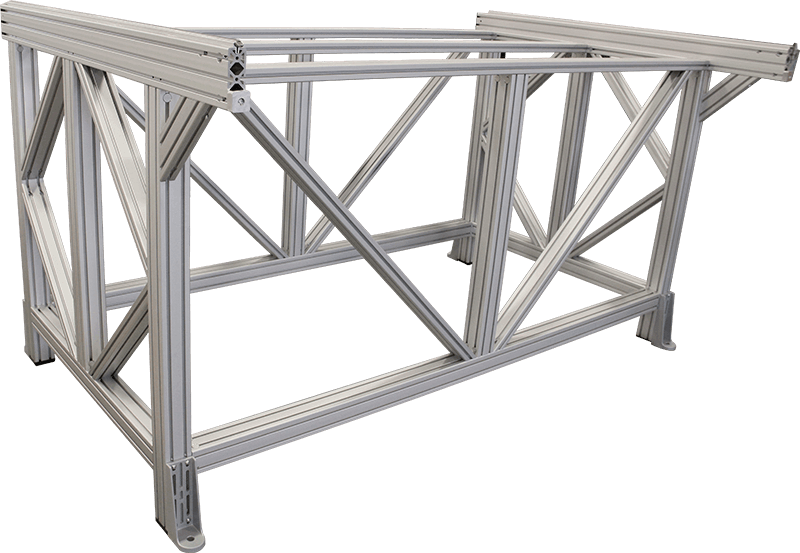 One of the many competitive advantages of using MB Kit profiles is the reliability, compatibility, and diversity of the structural framing components. 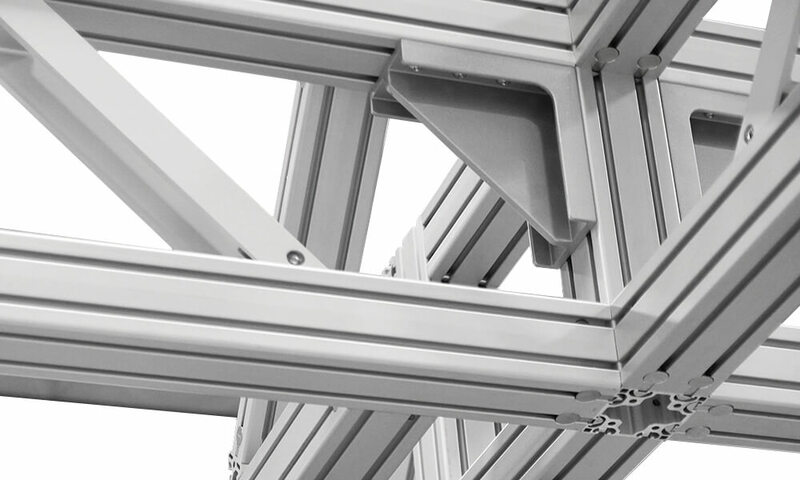 When utilizing our extruded aluminum profiles, you are assured to be working with high-quality components that are compatible across the MB Kit product line. 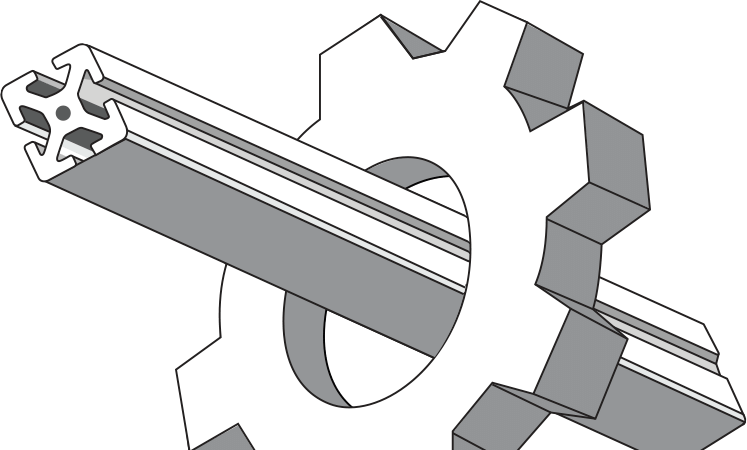 Compared to other extruded aluminum systems, the differences in extrusion quality are obvious from a side-by-side comparison, though the advantages go far beyond aesthetics. 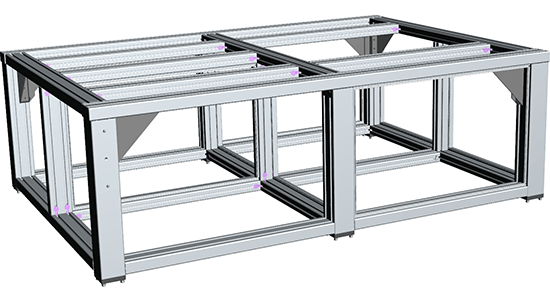 The high straightness tolerance and precision of MB Kit Systems' extrusions enable the design and build of custom linear actuators to exceed 200 feet of travel. 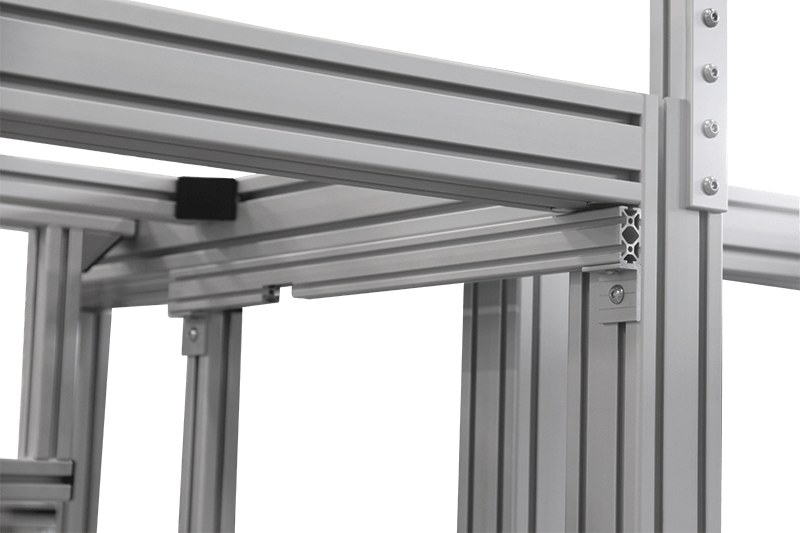 A myriad of custom mechanical framing solutions can be created using the MB Kit product line, ranging from large linear motion structures to small safety guarding frames. 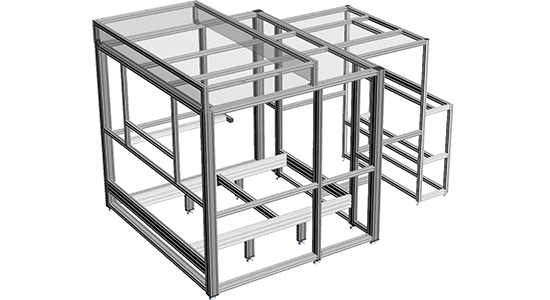 Structural frames can be built for most projects using modular extruded aluminum framing. Structural project sizes range from inches to hundreds of feet, depending on customer requirements. 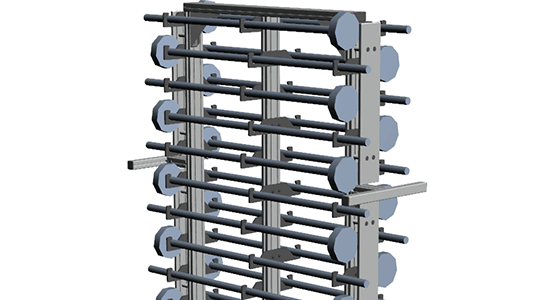 MB Kit Systems' engineers can customize your frame based on the load requirements of your project as our profile tensile loading strengths range between 112 - 1,124 lbf. This is is dependent on the profile choice. MB Kit profile sizes range from 20x20mm - 200x40mm. 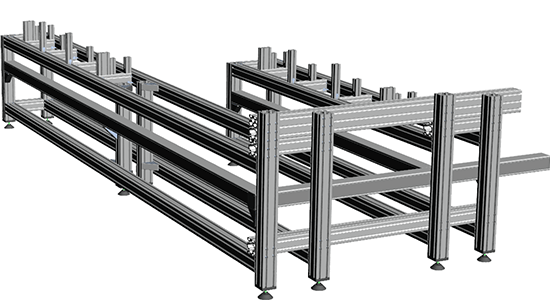 Using MB Kit profile systems, we are capable of designing structural assemblies for any situation. These units can be used in conjunction with all of the MB Kit dynamic components. 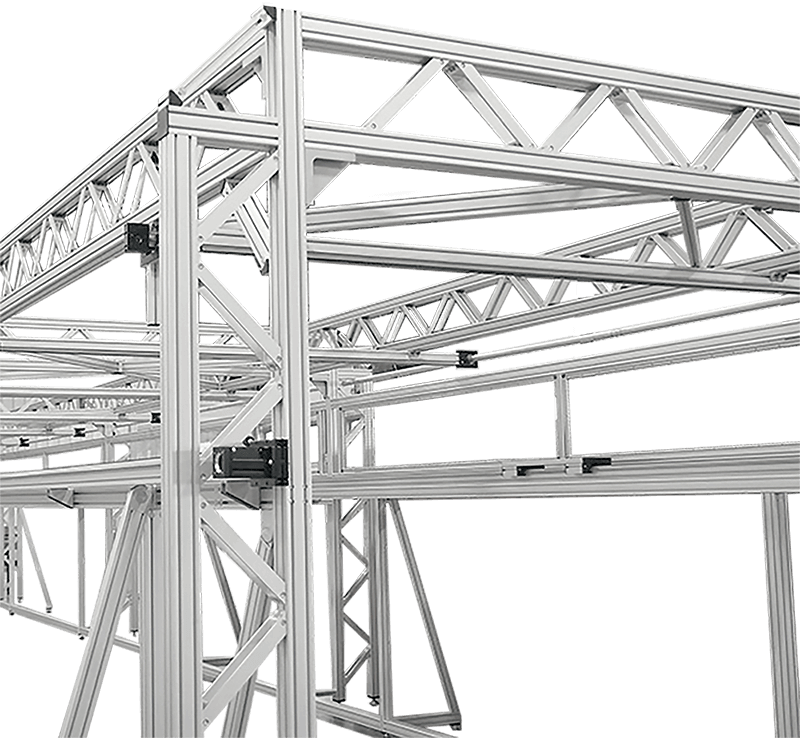 Turning your simple overhead gantry structure into a possibly 3-Axis pick-n-place system. 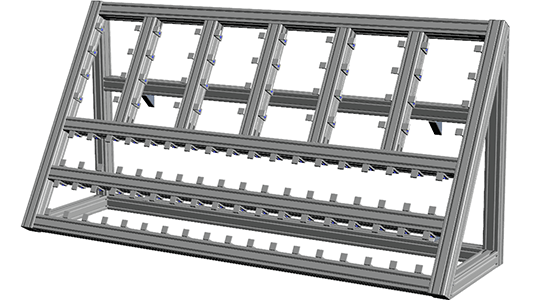 Profiles can be linked together to create enclosures of any size. All profile are clear anodized, and very \ aesthetically pleasing.